Marcia Brownlow, a young artist among a group of American expatriates in late 19th century Europe, began her journey as a governess when her family fell on hard times and left her bereft. A friend’s aunt makes a proposal that Marcia cannot afford to decline, although it would require a major deception: Marcia must disguise herself as a man. She adopts her deceased brother’s identity, and as “Mark” Brownlow, interviews for a position as a writer’s secretary. Her employer quickly learns that she is a gifted artist and funds her further education, introducing her to society as the next great talent. Marcia continually struggles with her identity throughout the story–enjoying the freedom and acclaim she receives as a man, but all the while realizing that it cannot end well. She makes many dear friends as she readies her work for the Royal Academy art exhibition in London, but shortly before her masterpiece is unveiled her past comes back to haunt her in the form of a disgruntled acquaintance seeking revenge. One of the themes of the story is the division between the artists of the time–those holding to the classical style and those looking to industry and change. 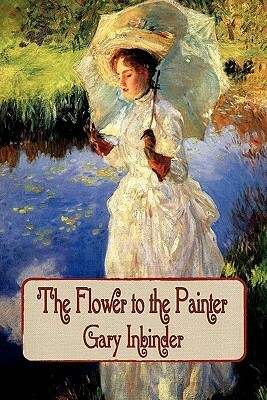 Many of the personas depicted are fictional, but there are several well-known names mentioned, such as Pierre-Auguste Renoir, Edgar Degas, Claude Monet, Frederic Leighton, and John Singer Sargent, whose painting Morning Walk is featured on the cover. I truly enjoyed the characters: Arthur Wolcott, the sarcastic writer, and Duncan MacDonald, the art instructor and father figure. The women in the story played necessary roles. Some readers may be put off by Marcia’s inclination to favor women instead of men, but for this story it worked well and was, in fact, critical to the plot and resolution. Other than the author’s superb writing style (which I previously experienced from reading Confessions of the Creature), I most enjoyed the humor in this book and the philosophical insights presented from the protagonist’s unique perspective. The world of European art at the height of Impressionism is skillfully portrayed, as well as the progress of the Second Industrial Revolution. I’m looking forward to Gary Inbinder’s upcoming novel, The Devil in Montmartre. “Amid the hustle and bustle of the Paris 1889 Universal Exposition, workers discover the mutilated corpse of a popular model and Moulin Rouge Can-Can dancer in a Montmartre sewer. 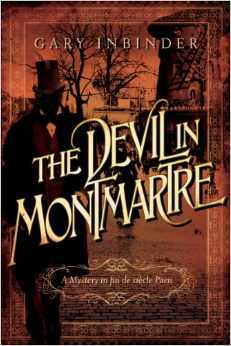 Hysterical rumors swirl that Jack the Ripper has crossed the Channel, and Inspector Achille Lefebvre enters the Parisian underworld to track down the brutal killer. His suspects are the artist Toulouse-Lautrec; Jojo, an acrobat at the Circus Fernando, and Sir Henry Collingwood, a mysterious English gynecologist and amateur artist.